To wish everyone a Happy 4th, here’s something I dug out of my WayBack File. The photo in this clipping from The Bee (August 2006) in Phillips, Wis., shows a reenactment of what had to be the most awesome summer Bible camp ever, since it portrayed Sasquatch (guy in gorilla suit) interacting with a Biblical character (unsure of what character but Noah would be my choice.) 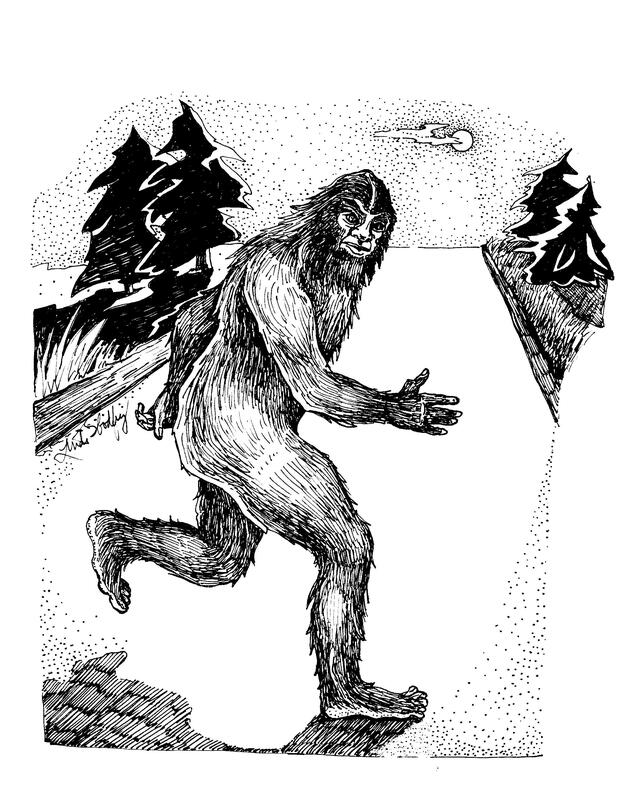 This was soon after a flurry of Bigfoot sightings in the hilly areas of nearby Lugerville had drawn the interest of Monsterquest and sundry Bigfoot researchers. I had previously interviewed witness Don Young and also tracked down another observer by poking around Lugerville myself. However, although my dad grew up in that area and I’ve spent much time in Price County woods my whole life, also still have many relatives there all hunters and fishermen, no one I knew there had ever mentioned Bigfoot. UFOs, yes, cemetery lights, yes. But not Squatches. Perhaps the Forest Folk just stuck to the nearby Chequamegon Forest until fairly recently. Or my relatives didn’t live close enough to Lugerville. But Happy Independence Day!